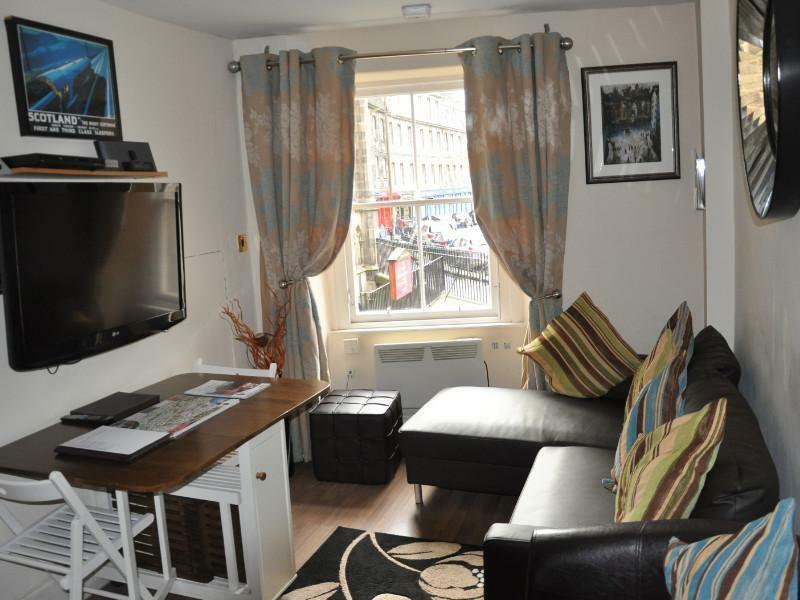 Ada soalan mengenai Stay Edinburgh City Apartments - Royal Mile? Terletak di Bandar Lama Edinburgh, Stay Edinburgh City Apartments - Royal Mile merupakan tempat menarik untuk memulakan pengalaman di Edinburgh dan kawasan sekitarnya. Pusat bandar hanya 0 km jauhnya dan boleh sampai ke lapangan terbang dalam tempoh 30 minit. Bagi anda yang ingin pergi agak jauh, Statue James Braidwood, El Corazon de Midlothian, Estatua David Hume merupakan beberapa daya tarikan untuk pelawat. 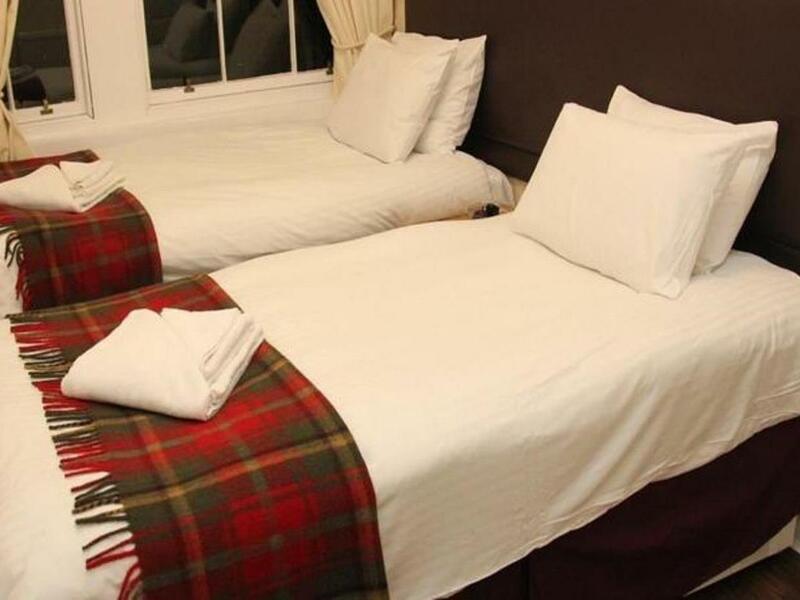 Menawarkan tetamu hotel perkhidmatan yang unggul dan pelbagai kemudahan, Stay Edinburgh City Apartments - Royal Mile komited untuk memastikan penginapan anda berada di tahap seberapa selesa yang mungkin. Ketika menginap di hartanah yang indah ini, para tetamu boleh menikmati Wi-Fi percuma semua bilik, simpanan bagasi, Wi-Fi di tempat awam, pengangkutan lapangan terbang, bilik keluarga. Semua penginapan bagi tetamu menawarkan kemudahan yang difikirkan dengan teliti bagi memastikan rasa selesa yang sukar ditandingi. Di samping itu, pihak hotel menawarkan aktiviti rekreasi untuk memastikan anda mempunyai perkara untuk dilakukan sepanjang penginapan anda. 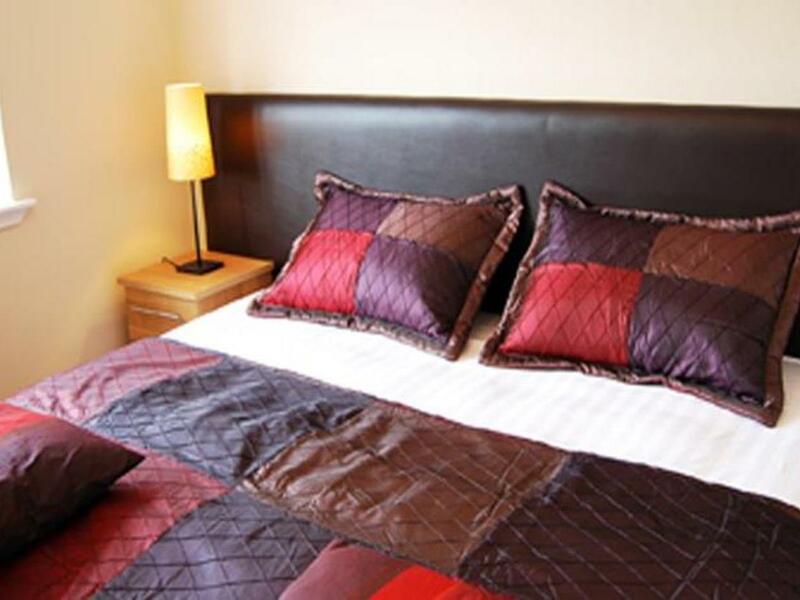 Dengan lokasi yang ideal dan kemudahan sepadan, Stay Edinburgh City Apartments - Royal Mile sangat memuaskan hati. Sila ambil perhatian bahawa hotel ini mempunyai beberapa lokasi. Para tetamu diminta untuk mendaftar masuk di alamat Penerimaan Pusat tertera pada pengesahan tempahan. Sila ambil perhatian bahawa penerimaan tetamu dibuka dari 10:00 AM sehingga 07:00 PM. Pangsapuri akan bersedia dari 03:00 PM tetapi anda akan dapat untuk meninggalkan beg anda dalam apartmen kerana ia ia sedang dibersihkan. Tetamu yang tiba buka penerimaan tetamu di luar waktu pejabat hendaklah memaklumkan kepada pihak hotel semasa membuat tempahan. Jika tiba selepas 07:00 PM, kunci tahun akan diletakkan di dalam kotak keselamatan di luar kaunter penyambut tetamu kami, hotel ini akan menasihati anda cek dalam prosedur apabila mereka tahu masa ketibaan anda. Sila ambil perhatian bahawa jika anda mempunyai masalah dengan tangga, sila maklumkan kepada pihak hotel terlebih dahulu dan mereka akan melakukan yang terbaik untuk memperuntukkan anda satu tingkat lebih rendah rata atau sebuah apartmen dengan lif. Basuh percuma dan pengeringan pakaian boleh didapati di pejabat penerimaan tetamu yang terletak di217 High Street. 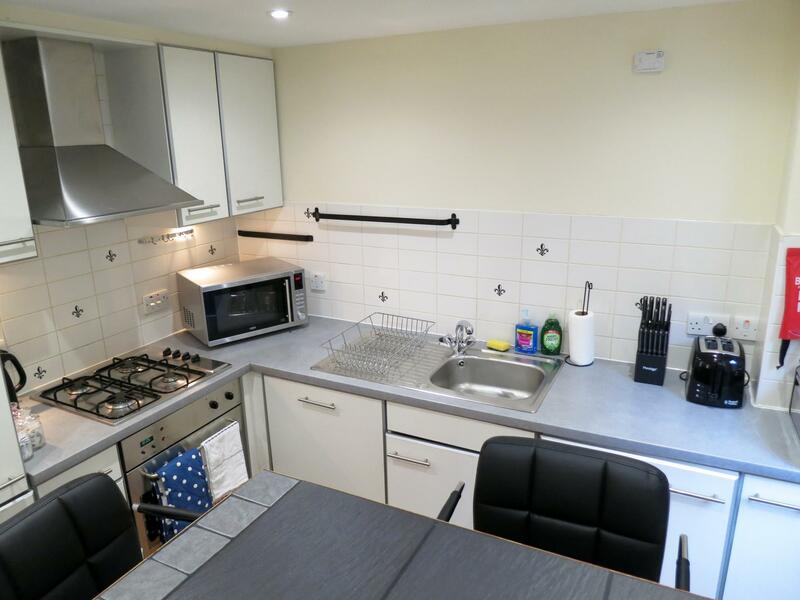 The 2 bedroom flat located in central Royal Mile, and very convenient, price is good and perfect flat with children. Facilities need to be improve a bit especially for the shower room, and the flat is a bit too old. Everything else is perfect!!! So close to everything in the heart of old tiwn. Close to transport, Edinburgh castle, princes gardens. Our apartment was tucked away in a little close and was so quaint. Only problem was washing machine was broken. However staff were so helpful and did our washing on several occassions, dried it and returned it to our apartment later in the day. This was great service. Warning- our room was 3rd floor which we wanted but we had 59 spiral steps. Bags only get taken up and down once so no issue and no problems for us at all, but if have problems you might want to request a lower level. Email me how to check in and get the key. But if you first time in EDINBURGH you really expect a little bit more help. Road is dark, hard to move with stone road ( especially when you with luggage)and always like climbing the hill . Really difficult to find address no. at night (almost no light on the street). So next time just give your guest a little bit more help if your reception close early. The furniture are old, toilet flush not working. Consider the price I accept all this. One thing can't accept by most guests is attitude and manner. We need to check out at 10 am. The guy knock in pass 10 am while we waiting for our cab. We said we just wait for the cab then we will go. He responce:'the check out time is 10am ,you need to leave now.' (very strick face,looks like I not paying the bill) behave look a security guide. And he just check the room. We dont want stay there under presure, so we just leave. Stand on the street (winter in scotland you know) wait for our cab. Let me tell you one thing, if you not welcome your guest just close down the business, guest wont come to you either. We were surprised when they bring us to the apartment: we stay in a 4 bedrooms. What is more surprised is each bedrooms have 5 beds.. enough for 20 persons haha.. great, though it is tiring to climb up the aparments (no lifts: staircase) but its nice. I love the aparment. Recommended. Friendly host. You need to contact them before arrival, the reception office have a small entrance, sometimes u not even notice it, so what i do is: i ask for airport pickup. They can arrange it for u and bring to the office. Instead of u go by taxi and find the office yourself, google map cant be trusted haha.. so far i give 5 stars! Thank you for making our trip awesome! Looking forward to stay here when we visit edinburg again. Nice place to stay, but the washing machine and the dishwasher are out of order, but they help us to wash the clothes. The staffs are very helpful and help us to take the luggage although there is no lift. The apartment was big and very comfortable. Although the kitchen is small but was sufficiently equipped. The speed of the wifi is a bit slow however we enjoyed the stay. The apartment made us felt at home away from home. The officer is very friendly, warm and very generous. We checked in quite early about 10am which is favorable. Location is great, sit in shopping area and torism place. The room is luxery with full equip of kitchen ware. Minor points are on 4th rounding stairs floor, but this is a old 500 years castle. We loved this place. 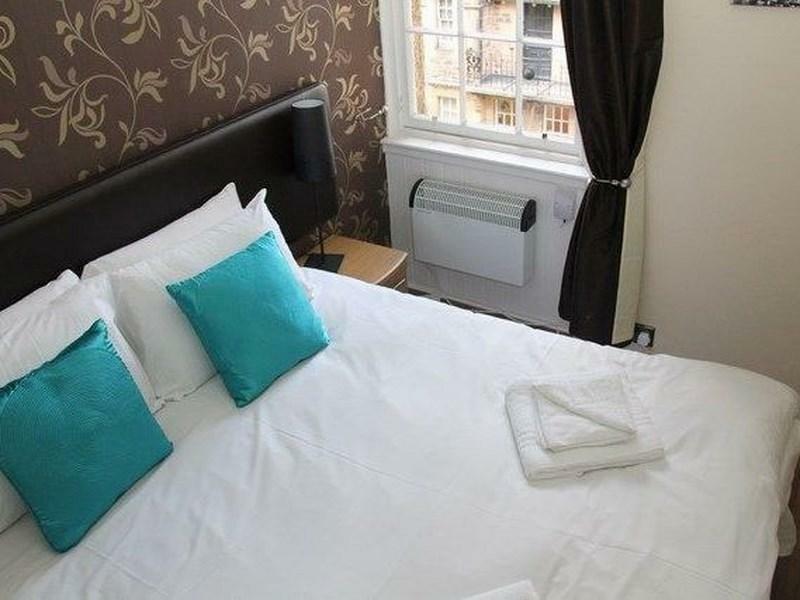 We booked the 2 rooms & 1 bathroom with Stay Edinburgh City Apartments. During the check in, met Harvey& Patrick and they were very friendly and helpful. 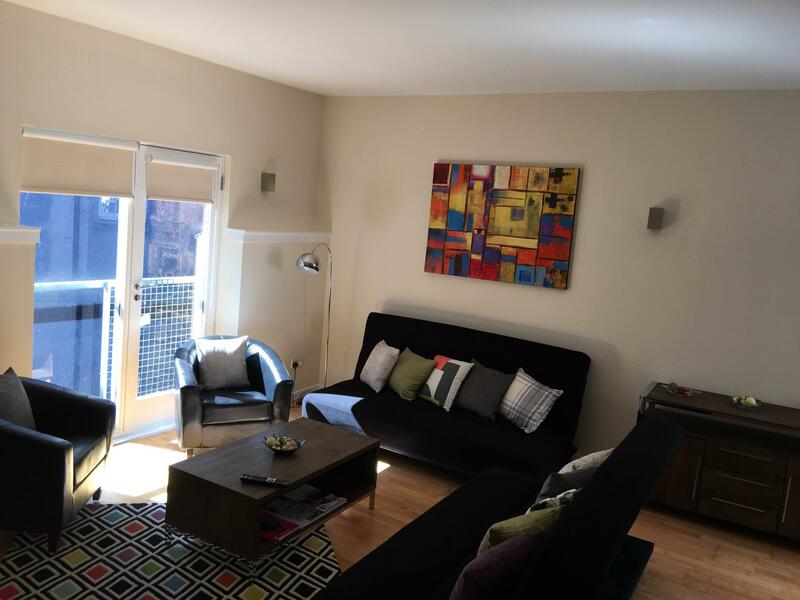 The apartment looks exactly in the pictures. Very clean. Would definitely use their service again and recommend to family and friends. That was an old bulidng just located at the Royal Mile, which is only walking distance to both Calton Hill and Edinburgh Castle. However, if you take big bages with you, you need to carry them all the way upstairs,as there is no lift. It is convenient for a family to stay as the cooking facility is always there for you. We checked in at the office and had to walk about 15mins to our apartment which was on the 2nd floor. The short flight of steps was manageable for our group. 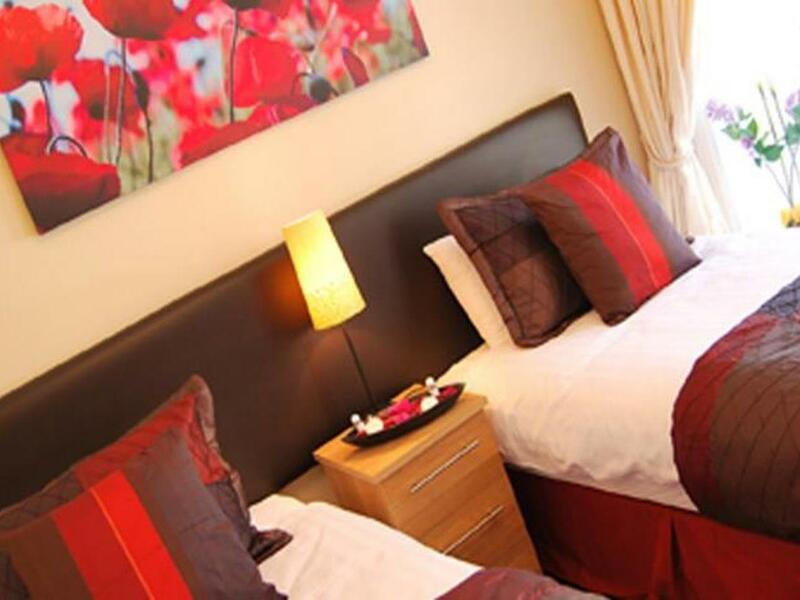 This is a self-catering apartment with 3 large bedrooms and 2 bathrooms and a fully equipped kitchen. 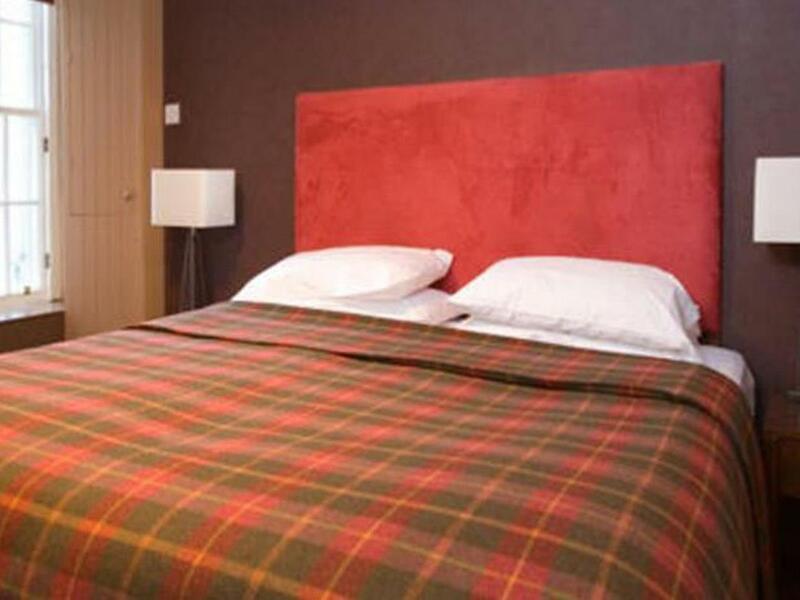 Apartment was very clean and pleasant and we were right at the doorstep of the Edinburgh castle! Great apartment. Awesome location. Staff was helpful and quick to respond but never saw them. Clothes washer in apartment but no dryer. Drying rack provided. Highly recommend if looking for clean, safe and convenient apartment. 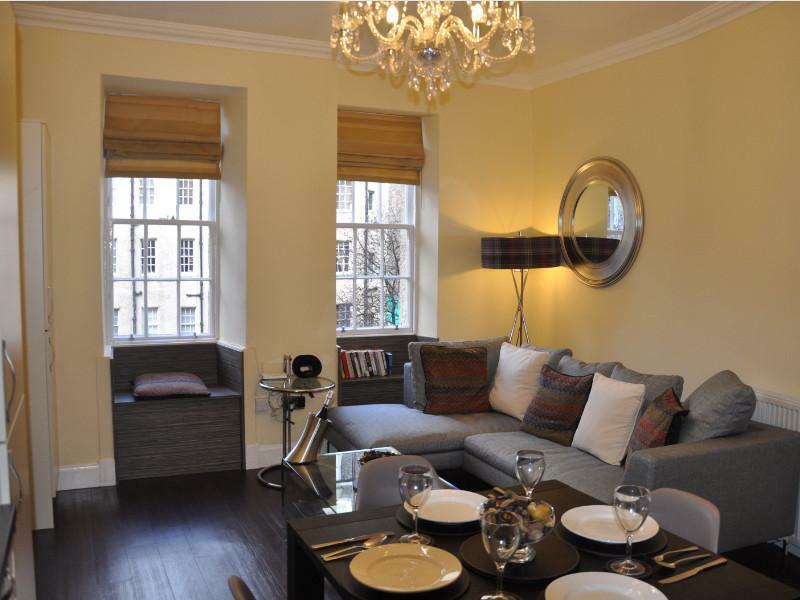 Lovely apartment situated on the High Street in Edinburgh. Only drawback is the spiral narrow staircase which he had to climb to reach the apartment. Definitely not something for elderly people with joint problems, and those who are not fit enough to climb the stairs. Please note that there are no lifts in these apartments. The administrative staff especially Paul and Paula were very helpful. We enjoyed our stay - the location was excellent and the accommodations were great. We did not expect to have as many stairs to climb - but after a few days in Edinburgh, stairs should be expected everywhere!! The shower water temps unexpectedly fluctuated from hot to cold. Other than that, we had a delightful time!! The views from the bedroom windows are wonderful - it can be a bit noisy in the front bedroom, but a pair of ear plugs can easily overcome that issue. Edinburgh is a wonderful city!!!!! We loved the people, the whisky, the pints, and the food!! !